Marathon runners typically want to lighten the load they carry through a race, but this particular runner added an 18-pound buddy to his back when he ran the Tokyo Marathon. 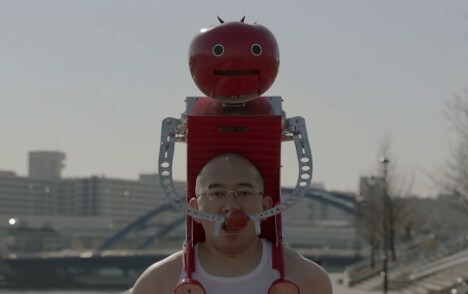 The piggy-backing robot is called Petit-Tomaton, and it was designed and built by Japanese tomato company Kagome. 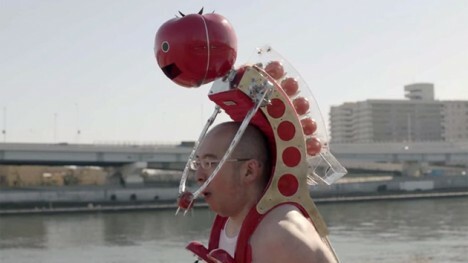 The grinning humanoid ‘bot feeds the runner tomatoes as he runs to keep his energy steady and hydration levels up. Kagome says that tomatoes are an excellent source of nutrition and can help runners stay energized during a long race. It’s way messier than a water bottle, but how could you resist those cold, glowing eyes and the inexplicably opening-and-closing mouth? 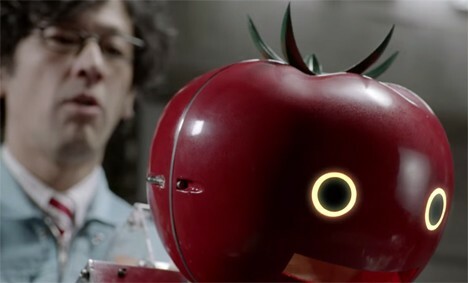 As cute (and weird) as it is, Kagome doesn’t plan to make the Petit-Tomaton into an actual product – it was built as a publicity item for the 2015 Tokyo Marathon. The above video is appropriately quirky, but be warned that it’s a bit suggestive in the beginning.